Son Kite? Does that have some meaning in Swedish? Where's the name from? Seb: Good start, this question always comes somewhere in an interview so it's good to have it done with ;-) Son Kite is not Swedish but a combination of Latin and English. "Kite" (English) is the toy that you play with in the air (like a dragon) and "Son" is from Latin, meaning sound. So with the help of sounds we reach the sky as someone can do with a kite. When we're making music, we make all the decisions but in the end every track has it's own life and creating things around the world without our control ... like a kite ... you're holding the wires, and you're making the kite move in different ways but it doesn't only depend on you, the wind has as much influence and the more you're playing with the kite the more you learn about the wind. You have to get to know the kite and you have to get to know that wind to be able to give the kite feelings! Mac: Also the kite's moves are more suitable depending on the circumstances... like different kind of music and different kind of tracks are more suitable depending on the environment and the motion. In many religions up towards the sky means a higher state or a higher consciousness... for us are the music is a way of achieving a higher state.... the kite in the sky is a symbol for that! Seb: If you want we can talk about this name for hours because it reflects our view and philosophy about music... but after a while I think it's boring for most of the people. Tell us a little about Son Kite and the people behind the name. 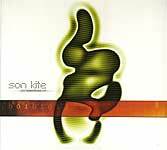 Mac: Son Kite (Sebastian Mullaert and Marcus Henriksson) is our main project and the project that made us famous, but before Son Kite was born me and Sebastian made music together under the name Trimatic and Sons of Mr. Martin. Sons of Mr. Martin were the first project and it was actually started before I joined the force. 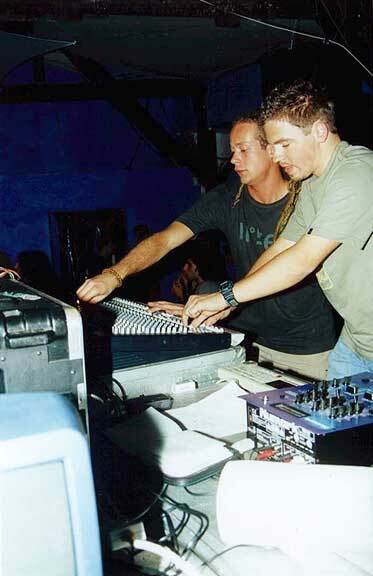 At that time Sebastian was making music together with A guy called Christian Steiner and they mainly made downbeat/chill dub stuff. 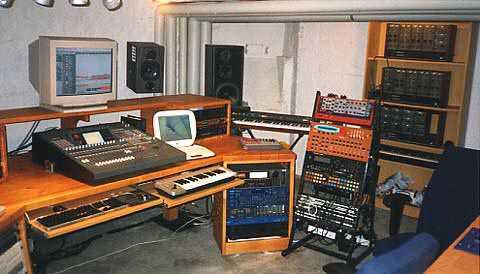 When I became a part we started to try some uptempo stuff and after a while Trimatic was created. We're still making music under the name Trimatic and releasing the music on our label Baluns, but the music that we make under that project is much more towards techno (but still trance) so I don't know if the people visiting this site would appreciate it. Anyway ... Christian dropped off after a while because he had other ambitions then sitting in a studio 10 hours a day. What was your musical path in life till you got here? Mac: Sebastian has the more classical music background and I have got my experiences as a DJ. We have always felt that this combination have been a very good one, it's always good to have different abilities and experiences when you are in a team- seeing thing from different angels. Over the past years we have of course learned a lot from each other, but also together which is also a wonderful thing with a relationship like this. I've always been listening a lot to music, and especially to electronic music like Krafwerk, Human League and Depeche Mode... and when I visited my first technoparty in the beginning of the 90s I was totally hooked and knew that I had found my place. At this time I also started to buy 12"s and making mixtapes to friends at school who wanted to hear this new music. The development of this were of course to be playing out, first as resident at the parties that we was involved in promoting and then more and more parties in the south of Sweden and Denmark. Seb: Like Marcus said I'm the one that has been playing instruments my whole life. My first instrument was the electric organ at the age of 8 (my father have always been into new things and at that time he was listening to psychedelic music with electronic elements). The organ led to piano and during this time (age 9) I also started to play the violin. The violin and the piano followed me for many years and also got me to play in loads of different ensembles. In high school I stared a pop band together with some friends and this step was the biggest in my musical history.... starting to create my own music, not only to play others. I immediately felt that this was something that I had been longing for. At this time I also found a new way of making sounds with the violin ... it's quite incredible how much you can do with an violin together with an effect box ... you will hear in our future live acts :-) Like many projects this pop band split and I went on together with Christian Steiner and this was my first step into electronic music. Why did the breakthrough came in trance? Mac: Sebastian and me have really been devoting our life to the techno/trance music during the past four years and I think that all the time that we spent gave something back. Seb: If either Marcus or me have ever been fighting for a project, than we've been fighting for Son Kite, because both of us felt that this is THE thing. Also the facts that we work so well together and that we are very different and have different backgrounds are a very important for the success of Son Kite. I've been working together with many musicians and never before have I experienced such a healthy cooperation like I've done with Marcus. Mac: When you love what you do and if you have the discipline to fight for your vision everything can happen, you just have to give it time. Trance- what got you in this music? Seb: I started to go out dancing to parties and directly felt that trance and a combination of trance and techno was the thing that moved me most both body and mind-wise. The dance means a lot for me and to make music that makes people dance and be happy is so beautiful. All kind of dance music with elements of trance are for me the best thing in order to create a state of creative dance and happiness. 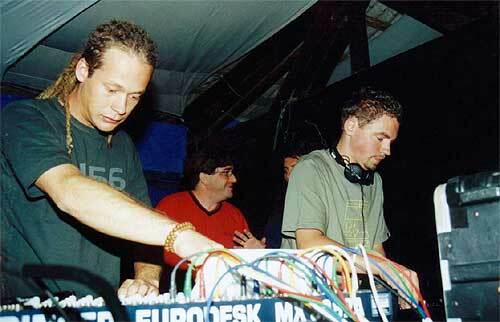 Mac: When I started to play as a DJ the situation between trance and techno were so much more integrated. Today you can very often feel aggression between these genres and this is something that we can't really understand. This is about dance music and all kinds of music has something to say... it's just for you to listen good enough. The music that we make and the music that I play can sometimes be placed in both "camps".... be loved or hated by both. We just hope for one thing in the future and that's a reunion of dancemusic. Seb: For us trance music is the best ground for mixing different genres and I also think that trance music listeners (today) are the most open for new things and developments in the music. It's not only the trance music that has some days of stagnation, that's a very common thing in all kind of music. Sebastian, you have a classical music background- do you think your violin teacher can appreciate the music you're making today? Seb: Actually that's something that I've been thinking of quite much. My two first violin teachers were really wonderful and it's very much thanks to them that I'm making music today. I don't really know what they would say, because they have probably never listened to this kind of music at all, and like all other kinds of music- you have to give it some time to feel it. But I hope that they are so mature in their way of listen to music that they would be able to get a positive feeling out of it, even though it might be something new for them. When people that haven't been listening to trance (and are a little bit older) wants to listen to what I have produced I always start with some of my Ooze tracks (my solo downbeat project) to make them a little bit softer and then slowly go up to Son Kite.... most of the times it works better that way. All people have more or less prejudices and to be able to feel new things it's sometimes necessary to sneak behind some blocks. What is music for you? What part does it take in your life? Can it make a change in the world? Mac: Music is, as you probably understand a very big part in our life, almost everything. For the moment it's music, friends and love. Because of the fact that it isn't that easy to make a living on making music, friends and love have to be strong! Seb: Almost everything that you do has some impact on things around you and that is something that you should always be aware of. I think that you can make something good for the world in two different ways. The direct way- when you in fact are doing something to help or do something where it's needed, i.e. work with the famine in Africa, enlighten the world about the things that are happening in Tibet, help the homeless in your own city (and more, and more). Or the indirect way- when you try to spread positive things around you, positive things that will spread further than you ever can believe. I hope that the music that we're making is making people happy or lets them be creative in the dance ... those two things are for sure very important for the positive development of the world. If everybody would go out and dance more (to all kinds of music), I'm sure that our planet would be a better place. Mac: Music is also the art that has the most direct impact on people. Almost everybody gets affected by music (more or less) and in all societies music has been a tool to create different emotions in the masses. Seb: "Finlandia" by Sebelius was forbidden in Finland during the Russian occupation, Hitler and so many other political lunatics have always been using music to underline and amplify their words. Aristoteles also said that if you want to rule a state you have to control the music!!! These are just a few examples that prove what the music can do and what respect you should have for music. How would you like people to approach your music, any music? Seb: I would like to answer the "any music" question first. Open you ears and your soul, try to take your prejudices away and let the music create something together with you inside you. Of course you will never love all kind of music but you have to realize that almost all music has something that can be good in some moments. Very often it depends more on you, than the music itself, never doubt the power and creativity that you have and that you can develop. Mac: Our dance music isn't always that obvious (with characteristic melodies and stuff) so I think that some people have to give it more than one listen and also give it some dance, after all it is dance music, and it should be danced to. Also we don't want to give people everything, some things have to be created by the listener. OK, enough philosophy, you have a new album- Perspectives Of... - it was released not long ago- tell us about it. Mac: Perspectives Of... is our second album and I think that it shows the way that Son Kite and we have developed. We really worked hard with the album for one year, because we wanted to make it to something special that will last. We tried to make the album very diverse, because we think that many techno and trance albums today lack variation, which I think is a very important thing. I don't think that it's interesting to buy an album with 8 remixes of the same track even if they're good. Some people have said that they think that the album almost is too varied, but for us that's only a compliment. The tracks on the album are (from our point of view) suitable for different situations or at different times at a party. "Bitter Sweat" is a good start for the evening, "Hi-Fi Stomp session" is a night stomper, "Aiwana" is made to help the sunrise and "If ashtrays could talk" is for the tired legs that still don't want to rest!! Seb: We also tried to get further in different directions that we have only touched before, both when it comes to the darker and lighter view. We're very happy with the album even though we were a little bit tired of it in the end.... you get to listen to the tracks soooo many times during the process before you have a finished product. How are the responses so far? How are the people at the parties reacting to the new material? Mac: We've got so much good response and it's great to hear that people like it. Like everything else many people (including us) feel that the minimal and progressive trance have come to a stagnation point and stopped to be progressive, a lot of DJs and magazines have said that "Perspectives Of..." both sounds Son Kite, but also is a step towards something new and needful. Seb: Like Marcus said before, some people say that they think that the album is almost too varied, but the funny thing is that everybody has different favorites, and for us that means that we succeeded with making a diverse album. We tried many of the tracks on the dancefloor before the release to get some feedback when finalizing the album, and the response has mainly been amazing. I think that many people like the new harder tracks from Son Kite very much. When you're playing live at a party the organizer very often put you in the middle of the night, some Son Kite tracks are absolutely not aimed to be played at these hours, so I think that our live act really needed a harder and heavier part as well. When we play live we play "real" live and no DAT and that means that the tracks always sounds different every time, sometimes we do a mix between two tracks and things like that. This means that some tracks sometimes sounds so different that people can't say exact which track we're playing. Normal comment goes like this: Q: "Why didn't you play "that" track?" A: "We did, but we felt like doing a little bit different mix tonight!" Mac: Some of the tracks on the album have never been played in our live act because we don't think that they fit for that.... tracks like "If Ashtryes Could Talk" and "Clockwise" are for us better in a DJ morning set! These tracks aren't meant to blow a dancefloor, but when I've been playing some morning gigs they have done their job very well. One of the places you've tested that material lately was here in Israel- Where did you play and how was it? Seb: We played at Zoo-B's new club .... hmmmm I can't remember the name, but it's the new place instead of the "Dinamo Dvash". Actually this was a really great party (1&2) and we got so much better response than we thought. Like everybody else we also have prejudices and one of them were obviously that the trance listeners in Israel only listen to Israeli oldschool goatrance, and need to have really hard, fast and melodic trance. We very fast understood that this wasn't true and that Israel by all means is among the biggest trance nations in the world and because of this also have a very good variation when it comes to trance parties. Mac: The music that we play was quite far from hard (some tracks maybe), fast and melodic so I think that we were a little bit afraid that we would have to deal with some furious Israelis that didn't wouldn't like it.... this didn't happen and our view of Israel really changed. I think that we went to four different clubs and parties when we were in Tel-Aviv and heard all kind of trance, everything from GMS to Lloopis.... respect to Israel for that! Did you enjoy it here in our little crazy land of trance and honey? Any thoughts about us (be honest, only with the good things of course)? Mac: Both the Israeli culture and the Israeli people are very different from the Swedish people and like everything else some things are better and some things are not that good. But both Sebastian and me liked Israel very much both when it came to people, climate and music. I don't think that I would like to live in Tel Aviv because it's a little bit too fast for me but it's for sure a great party place with hundreds of different clubs and parties to choose from. Seb: The really good thing with many Israeli people is that they a very straight and open, if you want to say something you say it and then you get the response about what you've said. Many Swedish people often say less if they think that they will get a hard feedback and this makes people hide things, which is never good. Israeli people are in many ways harder (with more attitude) than many other nationalities and when we came to Israel we really understood this as well.... it's not that easy to live in a country that is very fast and when you have to deal with anger, hate, stress and things like that all the time it quite natural to become harder. As you probably know the political climate in and around Sweden are much more relaxed than in Israel, so it's very easy to forget things like that. Mac: One thing that we don't like with Israel is the customs. We know that the people there is only doing their work, but three hours to get out of a country is too much.... we missed our plane when we were going back to Sweden. Seb: But thanks to the customs we got one more day and this day we had the chance to enjoy the beach and the nice Sheinkin street. Besides being full time trance stars you also run a label, actually a group of labels- do you really need this headache? Seb: We love to do music so much, but we also love to create something that can be positive for the music and the ones making it. Everything that you do can sometimes give you headache, but it's so important not to get down with the headache ... see the problems, as something interesting that have to be solved. Mac: We also love to work with other people and other musicians and to have a label really gets us to do that. Malmoe (the town we come from) has so many creative people and a label group like MPDQX is a perfect base for them. 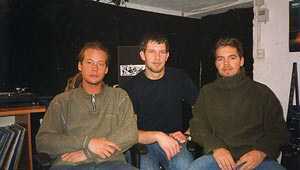 Seb: Son Kite got a good flow and was the first trance artist from Malmoe that came out in public. We want everybody to get something good from the flow that we got and the best thing to do that is to promote his or her music under the MPDQX label group. Who are the people (besides you two) and what is the vision behind MPDQX? Mac: The story behind MPDQX Label Group is pretty simple. Three guys; Me, Peter and Sebastian; who met along the way of going to parties, promoting parties etc. 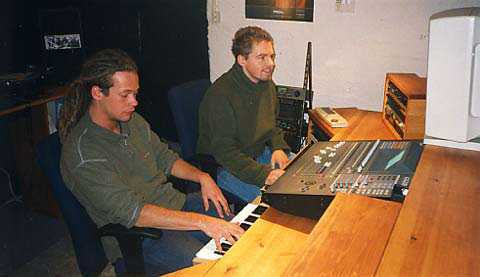 In 1996 Sebastian and me started producing and it was with our first studio that the idea and concept of the future MPDQX was born. So the idea of the label group has been alive many years before the first releases. The two labels that we have for the moment under the MPDQX umbrella are DIGITAL structures and Baluns records ... and they will have some little brothers and sisters in the future. Seb: A big thing with MPDQX is the way that we want to work. We're not only two labels but also publisher and booking agent, which means that we can offer the artists more than only releasing their music. When we start to work with an artist from around Malmoe, we also try to promote them to other labels, party promoters, get them interviews in magazines and so on. We know that only releasing music is not good enough if you want to be heard, there are so many more things that you have to take care of and we've learned these things during the years, and with our knowledge and our contacts we can work in a very good way with the artists. We really strive for a creative base both between our labels and our artists but also between the artists themselves. Mac: Some month ago a guy called Adis started to work a little bit for us and we hope that we in the future will be able to give him a full time work. Any interesting label news for us? Mac: Many things are happening all the time. We've got two quite new artists to DIGITAL called "Tegma" and "Ethnoscope". Tegma will release their first 12" on DIGITAL structures in end of august and next year is the time for their debut album. Ethnoscope will have their debut release on DS later this year with both a 12" and on our next DIGITAL structures compilation. We just released a new 12" with "P-Woland" (he will also release his debut album on DS next year) on DIGITAL structures that was a great success. This autumn we have two ful length compilations on DIGITAL structures, one dance called "Footprints" with exclusive tracks from Son Kite, Ticon, Vibrashpere, Tegma, 12 moons, Bigwigs, Ethnoscope, Qlap and P-Woland. Seb: The other compilation is "Chillosophy 2". We have got so much good feedback for the first Chillosohpy so we're really happy to say that the number two will be even better. On Baluns records we have a bunch of 12"s for the autumn (Zenglodon, H.Larsson, Pope of Gegga, Trimatic, Audibell) but also the first Baluns compilation that we will release in the beginning of October. Mac: We have so much music that we want to make and we hope that we will get more time in the studio this autumn. Seb: All the label work and all the gigs all around the world takes time, so for the moment we can never get to much time in the studio. You have other projects as well- can you tell us about them? Seb: Our biggest sideproject is Trimatic. We have released a bunch of 12"s with Trimatic on Baluns and Iboga and we also have a Trimatic track on the first Baluns compilation that I mentioned before. When we'll have time we will also start to work with the Trimatic debut album ... we already have a good draft and a name for the album. 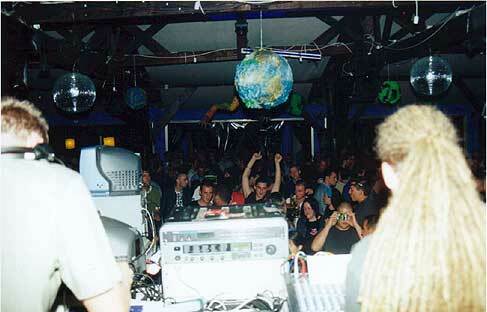 The Trimatic sound is much more towards clubby trance/techno, breaks and many other genres of dance music. The Trimatic will be very experimental so it maybe will not be as big hit as "Perspectives of.." but it's music that we love and want to be alive. Mac: Qlap is the project that we have together with Ticon and we've planned to make some new tracks during the rest of this year and the result will hopefully be an album on DIGITAL structures in 2002. Fredrik and Filip are two amazing guys both when it comes to producing and personality, so we are looking forward to keep up our cooperation. In the past we released three 12"s and a bunch of compilation releases with Qlap. We have also made some real techno music under the name Yozo and some house music under the name Minilogue. These two projects were mostly formed because we felt that it was good to make something else than trance music, and that it was important to get inspiration from something else (I talk about inspiration from music, but of course you get a lot of inspiration from other things as well ... life itself has so many things that inspire us). The best way to understand other music genres is to try to make the music itself. We really hope to get time to work together with other artists and maybe there will be new names for these projects. Seb: I also have some projects on my own. Ooze is my chillout/downbeat project. The Ooze debut album "Where The Fields Never End" was released on Spirit Zone records a couple of weeks ago and I'm really eager to start to work with this project again. Filur is my second solo project and this is dance music.... all the dance music that I do by myself will go under this name, whatever it will sound like. Upcoming releases with Filur is the next Flow compilation, 12" on Kamaflage records and one on Baluns and also a track on the next Kamaflage comp (Dragonfly). I'm also doing some music with my cousin Daniel under the name Dab Screen. Daniel is much more into Break Beat and Drum and Base so it seems like we will found each other in a more downbeat area. Future plans? I understand you have some very interesting and ambitious projects- please share. Mac: We always have so many future plans and sometimes it makes you frustrated when you don't have time for everything. Anyway we try to see our limitations and just focus on the most important things. The biggest project for Son Kite in the future is to make the third and forth album. The third album will be a 2CD live recording with a DVD-film of the gig and the fourth will be a chillout/downbeat CD. Seb: From the beginning we had the intention to make the album as a mixture between downbeat and upbeat but in the end we realized that we had too many ideas for both downbeat and upbeat so it felt better to make two different albums. For us the downbeat album will be a big step because we plan on that album to start working with other musicians from different music genres. Every track will be Son Kite featuring someone else.... it will be very interesting make and hopefully also to listen to. Mac: The live recording album will be the biggest Son Kite project ever.... many surprises on this one ... promise. We will do the recording in Malmoe the 7th of December. Thanks, guys! Waiting for your answers. Seb: Thank you for the questions and sorry that you had to wait so long for our answers. Anyway, hope that you got a good time of reading! Bye and take care! P.S. Fly with the kites!